Are You Using Toxic Storage Containers? Food storage containers come in all shapes and sizes. They also come in many levels of good-for-you. From the cheapest dollar-store plastic to the most expensive glassware or stainless steel, they come at all costs. However, food storage containers can also have a cost to your health. Plastic containers, even those advertised as safe are often full of dangerous chemicals. Here are some alternatives to plastic that will help you buy the healthiest containers. Avoid anything with BPA. Bisphenol-A (BPA) was used for many years to harden plastics and as the lining in aluminum cans used for food storage. In the past 10 years, it was found that BPA would leach into your food, a process that increases 55% when the container is heated. Most disturbingly it has been found in microwaveable food dishes, baby bottles, and the lining of baby formula cans. Bisphenol-A has a lot of known side effects. 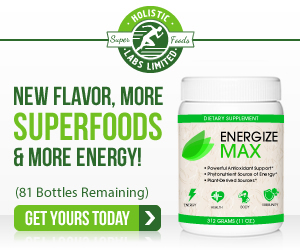 It acts as a hormone in your body, altering the delicate balance of your endocrine system. We know that it causes reproductive issues, such as problems conceiving, low sperm count, and embryonic death. It has also been linked to breast cancer growth, and metabolic syndrome (diabetes, heart disease, high blood pressure, and high cholesterol). Every plastic container and bottle available now carries a bright, colorful “BPA FREE” label, which is great. Or is it? Removing an extremely toxic compound is a terrific step, but what has BPA been replaced with? Quite frequently it is replaced with Bisphenol-S or BPS. It is thought of as safer, but in recent studies it has been found in the urine of participants, indicating that it too leaches into your food. Alternatively, if the plastic is entirely Bisphenol-free, it often contains the following chemicals. These plastic additives are known to be endocrine disruptors like BPA. They have also been linked to liver damage and cancer, fetal death, and testicular damage. Polyvinyl Chloride can leach lead and mercury into your food when heated. It also releases compounds called dioxins. Dioxins rank among the most carcinogenic chemicals in the world, which means they cause cancer in living tissue. Short-term exposure to Styrene can cause eye, throat, and nose irritation. Long-term exposure, however, acts on your central nervous system. It can cause migraines, muscle weakness, mental illness, and nerve pain. Polybrominated Diphenyl Ethers are another set of endocrine disruptors, and they also decrease your thyroid and liver function. Acetaldehyde is a pretty scary chemical. It naturally occurs in your body when your liver processes ethanol (alcohol). It causes all of the symptoms of a hangover, including a headache, dehydration, dry mouth, sore eyes, and upset stomach. When you are exposed to a constant dose of Acetaldehyde through its use in plastics it can cause the same long-term issues as chronic alcohol abuse. 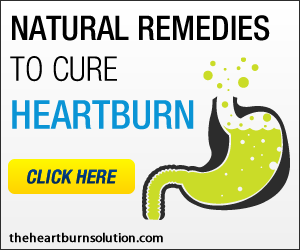 Liver damage, gout, and stomach problems are among the first to pop up. But Acetaldehyde doesn’t stop there. A recent study showed that it actually damages your body on a cellular level. It binds with proteins in your body and damages the cell walls as well as the mitochondria inside. 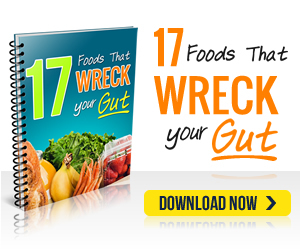 This triggers an autoimmune response, spreading inflammation throughout your body. Glass and stainless steel are fantastic alternatives for plastic food storage containers. You can even get baby bottles made from glass, covered in silicone to help prevent breakage. Here are some benefits of choosing a plastic alternative to store your food. The best thing about glass is that it is non-porous. This means that it won’t absorb any orders or stains from your lunch, and it also won’t leach anything out into it. It can also be made safe to heat in the microwave or oven by adding borosilicate, which protects it from shattering when rapidly changing temperature. Using glass, or glass in combination with stainless steel or silicone lids is a terrific choice for storing your food. It has the added bonus of being clear so you can see exactly what’s inside. Stainless steel is a terrific material for food storage. It’s much lighter than glass so it’s great for carrying with you to work or school. You can use stainless steel containers on the stovetop, but please don’t put metal in the microwave. It is often used with silicone to create lidded containers that won’t leak; it also won’t absorb any smells or stains. Stainless Steel can be expensive, but they will last forever, can go in the dishwasher, and won’t break if dropped. When choosing stainless containers make sure the lid is stainless or silicone, not plastic. Silicone is a terrific plastic alternative. It is non-porous and doesn’t easily stain. Because it is naturally flexible (and we don’t want it if it’s been altered with some of the above chemicals to make it hard!) it is perfect for lids and seals. It is not guaranteed to be 100% leach-proof so it’s best to stick to small doses and not have it in constant contact with your food. Waxed food wrap is just that, 100% cotton fabric that has been treated with beeswax to make it waterproof. It is perfect as an alternative to plastic wrap. You can get it in different sizes and use it to wrap sandwiches, fruit and vegetables, and other snacks. It’s easily hand washed and dried, and reusable for many years. Make sure to look for organic cotton, and try and check out the source of the beeswax to ensure it’s collected in a humane way. It’s pretty clear that plastics are on their way out. People are educating themselves on alternatives after facing too many health scares from plastics. Choosing glass and stainless steel as your main sources of food storage will not only lower your environmental impact, but it will keep you healthy. Pick these plastic alternatives for the safety of yourself and your family. It’s a worthwhile investment. What storage containers do you use? What are they made of? Please share with your friends this article on Food Container – Use any of the social media and email buttons on the left of our website. Corning ware? With matching glass lid? These are my favorite refrigerator storage units because I can easily reheat using them. Thank you on your chemistry lesson , amazing stuff that we unknowingly consume . Clean up time for the house hold .As always an awesome article . Thank you for this information, I will pass it on to family and friends. What about the safety of ceramic bowls? Are ziplock containers ssafe? I have the new Tupperware’s that are BPA free. Are they still safe? 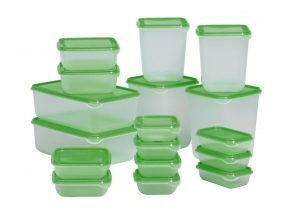 What containers can you freeze food in other than plastic containers?